This is only 1 chainring. 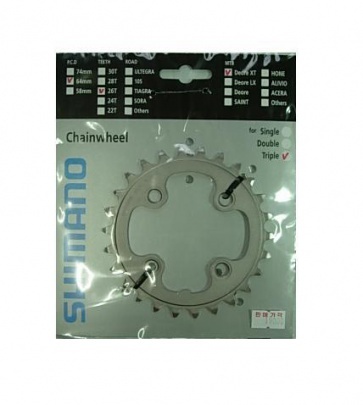 Shimano XT chainring FC-M771K 26T y1j226000. Part Num: Y1J22600 Shimano XT Chainring FC-M771K 26T This is only 1 chainring.